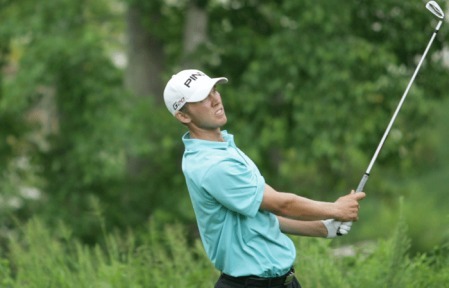 The West Waterford player had seven birdies and just one bogey to share eighth place after 36 holes of the Stage Two qualifier at Redstone Golf Club in Humble, Texas on six under par. The top 20 and ties will go through to the final stage at La Quinta in California at the end of the month where the top 30 after six rounds will earn cards. If the three-time former Irish Youths champion makes it the finals he will be guaranteed his place on the second tier Nationwide Tour. But he might just be thinking he can make it all the way following a sensational second round performance. After opening with a steady 72, Power caught fire on Wednesday when he birdied the first, third, fifth and sixth on the Members Course at Redstone to turn in 33. He then birdied all three par three’s on the back nine, picking up shots at the 222-yard 12th and 190-yard 14th before bouncing back from a lone bogey at the 16th with another deuce at the 196-yard 17th. Kevin Kisner leads a quality field in Humble by a shot from Doug Barron on 12 under par with Power tied for eighth alongside the likes of 39-year old Swede Mathias Gronberg, a four-time winner on the European Tour. Former US PGA champion Rich Beem is a shot further back on five under after a 73. Players are competing at six venues in Texas, Florida and California for their places in the final stage but it was a tough start for the other two Irish hopefuls at Florida venues. 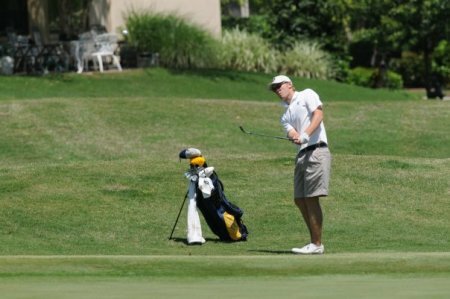 Tyrone’s Fergal Rafferty shot a three-over par 74 in the opening round at Plantation Preserve Golf Course & Club in Fort Lauderdale and is tied for 70th, seven shots outside the top 20 and ties who progress. Ballymena’s Chris Devlin needed late birdies to overcome a mid-round crisis and open with a level par 71 at Hombre Golf Club in his home town of Panama City in northwest Florida. That left him five shots off the lead and tied for 27th, but just one stroke outside the top 21 and ties who will qualify for the finals. Two under and cruising after three birdies and a bogey on the front nine, he bogeyed the 10th and then double bogeyed the 11th and 12th to slip to three over before recovering with birdies at the 13th, 14th and 18th. West Waterford’s Seamus Power shot up the leaderboard when he fired a three under 69 in the second round of the US PGA Tour Q-School first stage qualifier at Lantana in Texas.